Background: Administration console and the integration for Visual Studio are based on 32 Bit, so you also need the 32 bit version of the adapter to finalize the setup process. 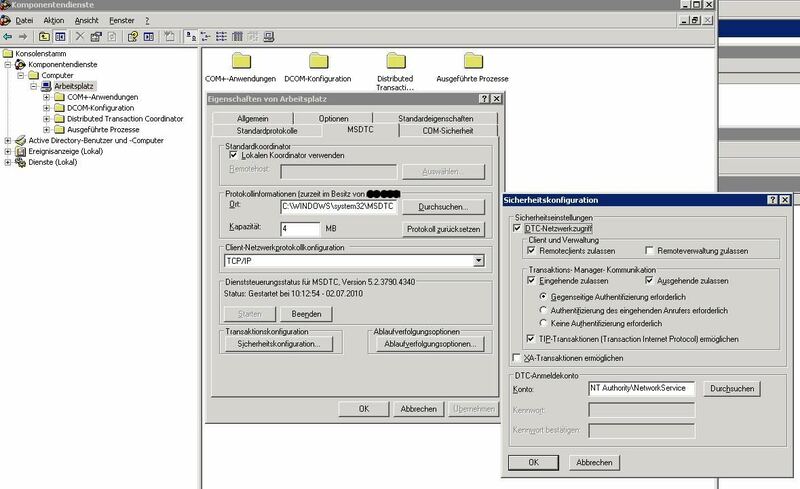 In the BizTalk Server Management Console, it’s only possible to bind 1 physical Receive Port to 1 logical (Orchestration-)Receive Port. 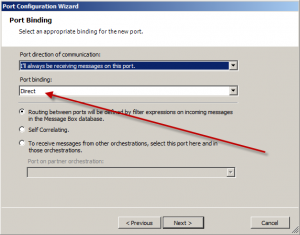 1) Create receive ports with unique and approviate names in the correct biztalk application. 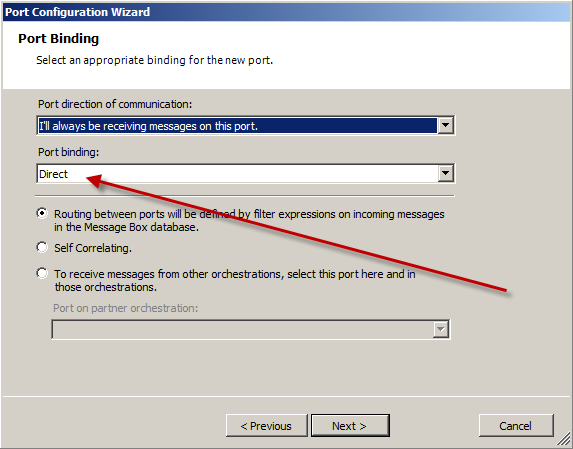 2) Create a new one way port in your orchestration, which can receive messages. As port binding please use “direct”. In this example please make sure, that “Routing between ports will be defined by filter expressions on incoming messages in the Messagebox database” is selected. 3) Create or select your activating Receive Shape and configure the “Filter Expression” by clicking the ellipsis. In the Filter Expression add as many “BTS.ReceivePortName”-properties as Receive Ports you have created eralier. Set the values of the properties to the portnames of the Receive Ports and group each row by “OR”. You have a webservice (based on a wsdl), which you have to call? The owner of the webservice has set basic authentification as security requirement. You have added the webservice via “Add Web Reference” in Visual Studio with the name “WebServiceName”. The generated class MyServiceClass is a derived class of SoapHttpClientProtocol out of namespace System.Web.Services.Protocols. You have no access to the via wsdl prompted definitions and classes. You have to add a new class file to your project, which contains the same namespace as MyServiceClass is a member, e.g. WebServiceNameExtended.cs. Next, you create a new dervied class of MyServiceClass in this file, e.g. MyServiceClassExtended. Into the class you insert a method called GetWebRequest(), which overrides the standard class of System.Net. So, every Request, which is sent to the webservice will be changed and the request header will contain the credentials and will integrate Basic Authentification. If it is neccesary to access a stored procedure on a remote SQL Server by SQL Adapter, you have to activate the DTC Network access in the security options of component services. Error message: “Transaction could not enlist in the Transaction coordinator”. Special recommendation: MsgBoxViewer and Terminator! With this code yo can (re)activate a Biztalk Server Receive Location with e.g. a surveillance service. This may make sense if you use a POP3 Receive Location where the pop3 server casually is not reachable. Receiving attachments via pop3 adapter of Microsoft Biztalk Server 2006 is possible using f.ex. an orchestration (www.commercelab.de/allgemeines/empfangen-von-emails-mit-attachment-und-speichern-der-angefugten-dateien-unter-ihrem-ursprunglichen-namen/). Receiving text/xml attachments you have to set the property BodyPart Contentelement in the pop3 configuration of your receive port to text/plain. With this options it is possible to receive any kind of attachments. Without this configuration you wil get a XLANG error: WrongBodyPartException. One Solution could be to unset EDI Validation strictness in EDI properties of a party. Just select EDI Properties->Party as Interchange Sender, then ACK Generation and Validation Settings. There is a checkbox labelled EDI type. 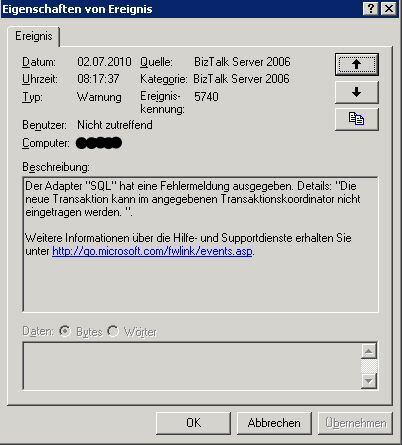 If you uncheck this checkbox, Biztalk Server 2006 R2 EDI receive pipeline d’ont proove message on EDI conformness anymore.